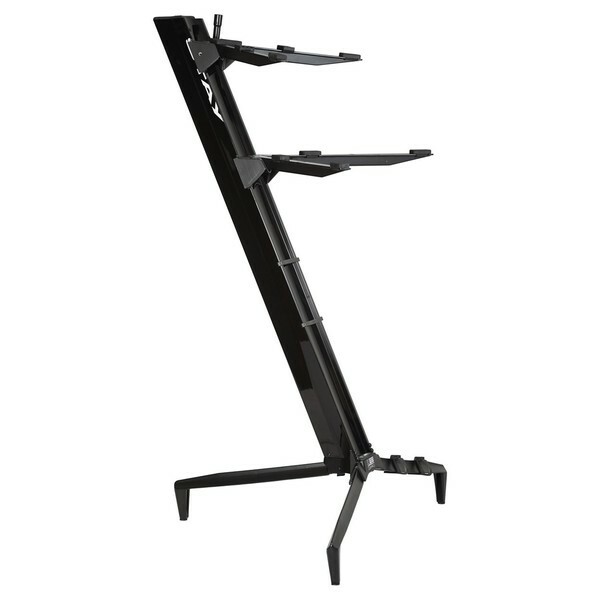 The STAY Keyboard Stand TOWER, Black is a highly robust keyboard stand featuring a two-tier design with four arms in total. The STAY Tower keyboard stand features a thick main pole, designed to accommodate larger keyboards, up to 76 keys in size. The Tower Stand is not only great for keyboards, but it can be also used for storing synths, controllers and more. 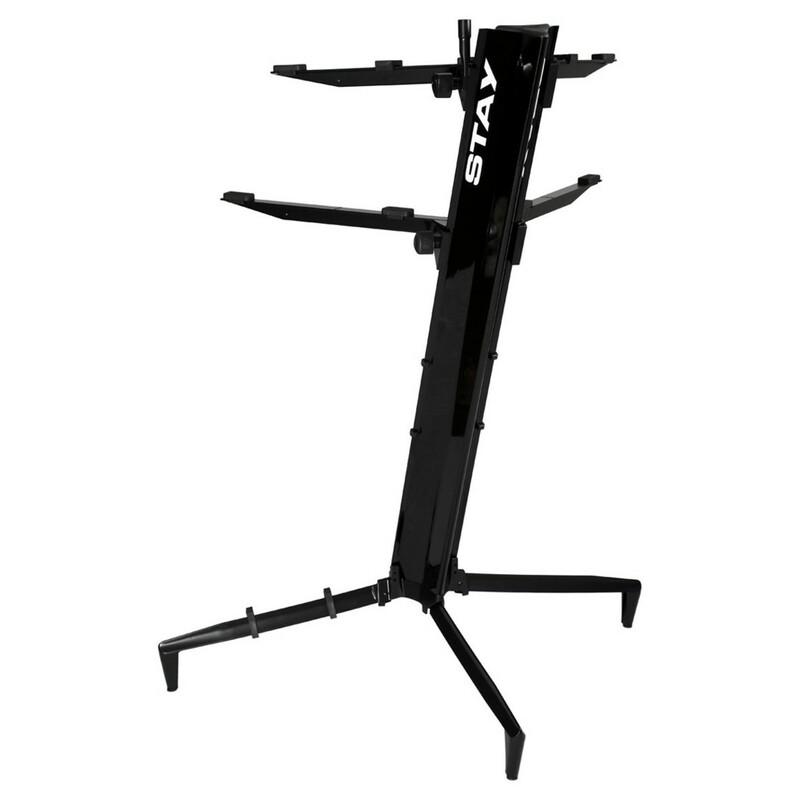 The stand is constructed from high-grade aluminium for maximum durability, resulting in a highly robust keyboard stand. The tripod base ensures the stand stays in one place, even during demanding live performances. It also features an adapter at the top of the stand for target lights, sheet music stands and more. The robust design and flexible components, make this STAY keyboard stand one of the most versatile on the market. The main fixture of the stand features a sleek coloured finish, with a two-tier design comprised of four arms in total. The stand is designed to accommodate keyboards ranging up to 76 keys in size and features adjustable arms for maximum stability. One of the most unique features of this stand is the integrated adapter at the top of the stand, which can be used for gooseneck lights, music stands and more. The tripod base offers optimal sturdiness, ensuring your keyboards/equipment will not fall at any time. The stand is not only great for keyboard users, but can be used to accommodate synths, controllers and more.